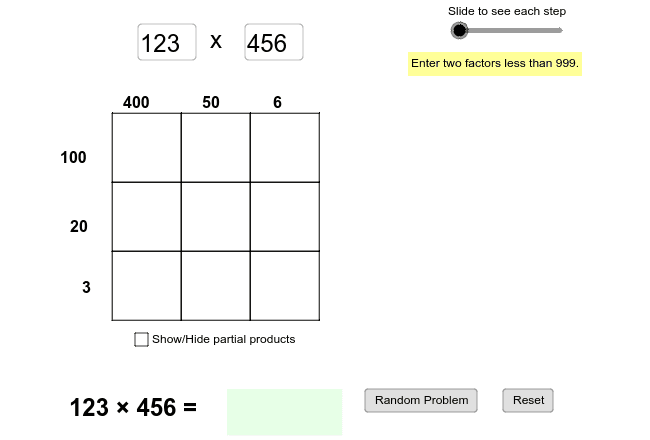 Use the sliders to create your multiplication problem. Or press the "New problem" button for a random problem to be given to you. Use the "Slide to see each step" slider to see each step for multiplying. The "Show/Hide partial products" checkbox allows you to hide the products until you want to see them.